What support layers do we supply? 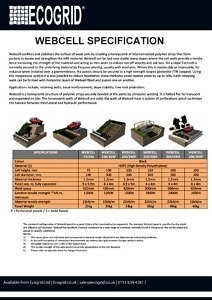 Brochures and specifications on our geotextiles can be downloaded from our download section. We specify products that have been tried and tested to support the Ecogrid range in a cost-effective manner from our stock. All EcoGrid approved products are thermally bonded to provide a durable, tough fabric which has proven to be one of the highest quality general purpose membranes on the market. As well as the standard 80gsm, we offer up to 1000gsm and every specification in-between, with varying roll sizes and thickness. At EcoGrid our geotextile membranes can be made to order so if you have a certain requirement just let us know. EcoGrid Ltd are unique in offering cut rolls at 2.25 x 100m, 1.125 x 100m, 2.25 x 20m or 2.25 x 10m to meet client requirements. Fastrack G90 78gsm (also known as Fastrack SG or 609) is our most commonly supplied woven geotextile membrane. equestrian; horse arenas, paddocks etc. All Fastrack products are thermally bonded and direct, woven equivalents of Terram 1000. The finished product provides a long lasting, reliable solution with a mesh design for extra strength. As well as the standard 78gsm, we offer up to 1000gsm and every specification in-between, with varying roll sizes and thickness. 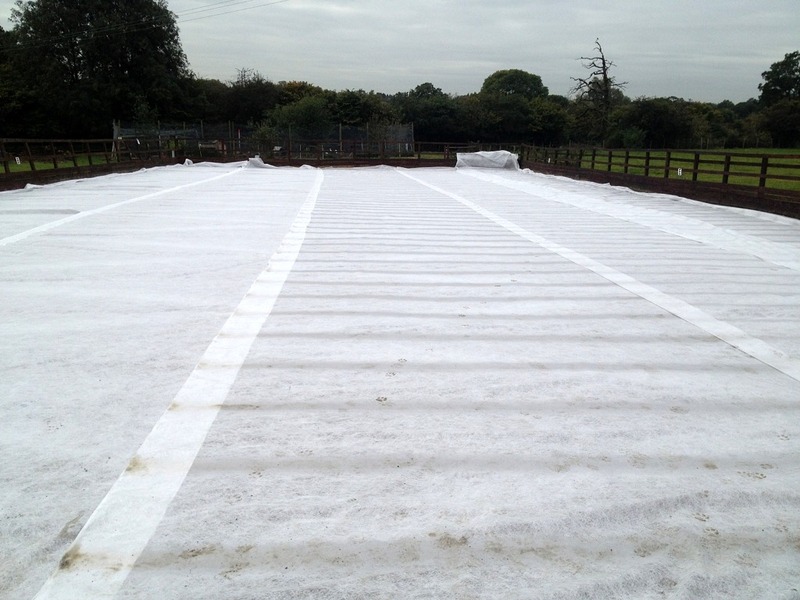 At EcoGrid our geotextile membranes can be made to order so if you have a certain requirement just let us know. EcoGrid HPS8 Geotextile Membrane 400g/square metre, 750 square metres, a thick needle-punched non-woven geotextile manufactured from 100% virgin polypropylene high tenacity fibres containing 1% active carbon black. 60:60. These figures refer to the ‘gap’ in between the bars. Namely 30:30 would be 30mm in one direction and 30mm in the other. 20/20 is a reference to the tensile strength (kN/m) in machine and cross machine direction as a 95% confidence value. The EcoGrid Webcell significantly improves the performance of confining and stabilising a drainage layer of stone by virtue of the system’s high strength network of inter-connecting cells. This three dimensional system is an economic and effective solution to challenging soil stability problems in load support, slope, channel, shoreline protection, vegetative retention and all wall/earth retaining applications. The EcoGrid Webcell grid comes in depths between 75mm and 200mm options of 31 square metre sections, pinned in place with our ‘J’ pins. Our EcoGrid approved geotextile membrane is laid over the top in addition to a bedding for the load bearing EcoGrid tiles, whether they’re S50 grids for light/medium traffic or E50 for heavy duty traffic. An ideal partner for use with the EcoGrid matrix system and tree root protection, the Web Cell provides a flexible and permeable solution for protecting tree roots while creating a strong stable surface for traffic too. Its patented design and cellular structure reduces the vertical load pressure on tree roots and prevents damage. With no-dig solutions preferred in this field, our new product is ideal since only the surface vegetation has to be removed – that means there’s no disruption to the roots while installation time and money is saved.